For information about any programmes offered, email lauren.locke@wellingtonict.ac.nz. The Wellington ICT Graduate School is a partnership between Victoria University of Wellington, WelTec and Whitireia. The Wellington ICT Graduate School is a partnership between Wellington’s three tertiary institutions: Victoria University of Wellington, Whitireia New Zealand and Wellington Institute of Technology (WelTec). This new government initiative is tasked with creating a diverse supply of industry-ready talent in response to the ICT sector boom that is occurring in New Zealand. Three of the five one-year (180-credit) Master's programmes offered by the School, are open to anyone with a Bachelor’s degree from non-information technology disciplines. All programmes have been designed with input from, and engagement with, industry to prepare students with hands-on experience that aims to leave them well-equipped to join the tech industry. Setting the standard for advanced ICT education in Wellington, ensuring an industry driven and experiential education, so our graduates are ready to be future leaders in this sector. Bringing together our staff and students with ICT firms, start-ups, and our tech ecosystem to develop talent, ideas and connections that can fuel growth, across the region and New Zealand. Delivering education that has a strong vocational emphasis with input from, and engagement with, industry, combined with academic rigour. Wellington has a creative and innovative environment, with a significant digital, film, and gaming industry, and a strong start-up culture. While the ICT industry has been growing rapidly throughout New Zealand, nowhere has this growth been more pronounced than in Wellington. 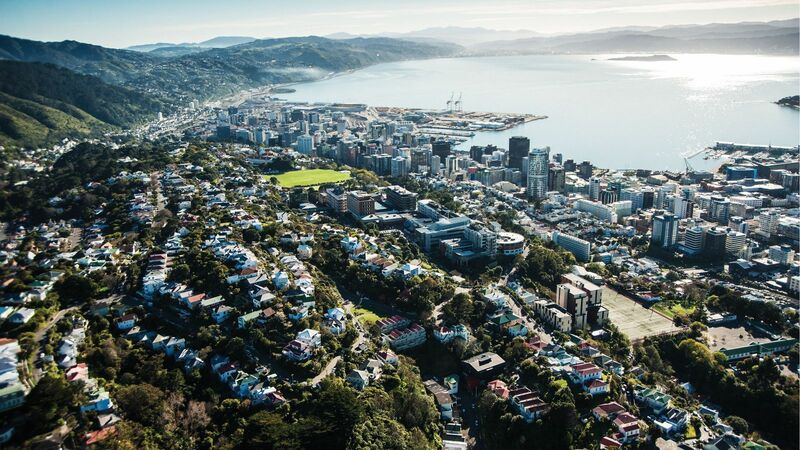 With more than 16,000 ICT jobs in the Wellington region contributing significantly to the country's ICT related GDP, Wellington is the heart of ICT in New Zealand. software for embedded systems based in microprocessors. The programme is delivered through a combination of course work and an in-work (industry placement) research and development project. Graduates will be equipped with the skills and knowledge needed for a career in the IT industry. The Master of Professional Business Analysis (MBusAn) is designed for students who have any degree in a field outside information technology to complement their skill set so they can become business analysts in their original field. The programme will build on students’ knowledge of their domain of origin, and the study skills they acquired in their previous qualification. Graduates will be able to apply their understanding of their field of expertise to develop IT solutions for a workplace and be able to recommend appropriate solutions, based on sound, evidence-led decision making skills that are based on the fundamental principles of academic research and real-world exposure. The Master of Design Technology (MDT) is a one-year, full-time professional Master’s degree that will provide students with the professional skills needed to work effectively in highly technical design professions such as game design, Visual Effects (VFX), exhibition design and multimedia design. The MDT is technology-centric and builds upon the skills acquired in an undergraduate degree focused on digital technology. The MDT will be ideal for students holding a bachelor’s degree in design who are looking to up-skill with advanced techniques and high-tech professional practice. The Master of User Experience Design (MUXD) is a one-year, full-time Master's degree that addresses all aspects of user experience, from understanding the identity of the users to the creation of the designs they interact with to improve the overall experience of design. The programme builds on the relevant skills students have developed during their professional careers and/or undergraduate university study, such as problem solving, critical thinking and verbal and written communication. The Master of Information Technology (MIT) has been designed for students with a Bachelor’s in an ICT or computing related discipline, and will sharpen the technical skills and knowledge of those already in industry, or seeking to enter the ICT workforce. The qualification is delivered by Weltec and Whitireia through a combination of compulsory courses and electives that allow for specialisation, and a final industry project or thesis that will give students the opportunity to apply their learning to the ICT industry. For more information, visit their website or call the Wellington ICT Graduate School.